The International Research Network Ecosystem health and environmental disease ecology (IRN EHEDE) has the objective of promoting exchanges and bringing better legibility to collaborative research in Asia and Europe, linking ecosystem health (e.g. the long-term sustainability of ecological processes and the integrity of ecosystem services) and disease ecology (e.g. 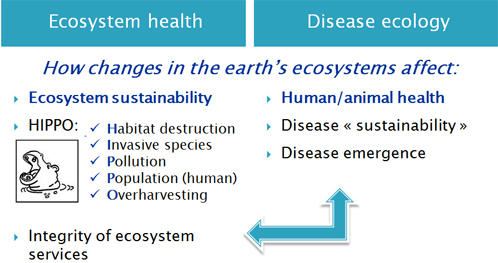 the processes by which diseases can sustain or be controlled in a given ecosystem). It is based on the principles of EcoHealth, a domain of science "committed to fostering the health of humans, animals and ecosystems and to conducting research which recognizes the inextricable linkages between the health of all species and their environments. A basic tenet held is that health and wellbeing cannot be sustained in a resource depleted, polluted and socially unstable planet. This is why EcoHealth scholars and practitioners engage in integrated systemic approaches to health that sustain ecosystem health services, foster social stability and promote the peaceful interdependence, coexistence and evolution of humans, animals, plants and their environments." 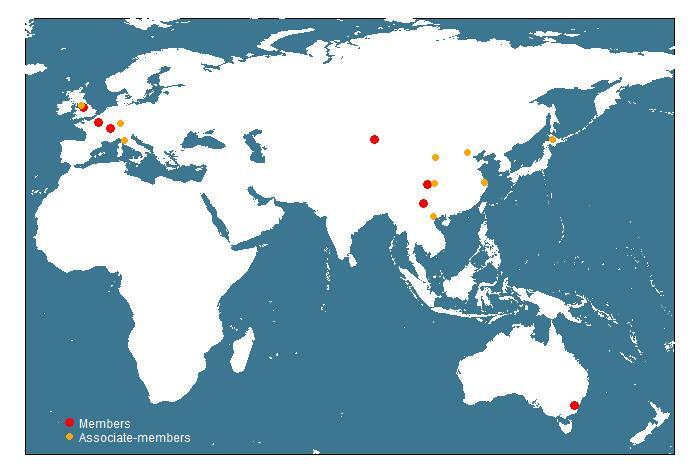 The IRN EHEDE brings together researchers in conservation and population biology, landscape ecology, geography, parasitology, modelling and in health sciences of Australia, China, France, Japan, United Kingdom. The IRN EHEDE or GDRI EHEDE (GDRI stands for Groupement De Recherche International, in French) has been accredited by the CNRS Ecology and Environment Institute (INEE) in 2013 for 4 years, and re-accredited in 2017 for the period 2017-2020. The IRN EHEDE has 9 lab members belonging to 7 contracting institutions and 13 associate-members participating to ongoing research or willing to be kept informed.